This short note addresses what meditation is for a Catholic, and why spiritual writers maintain its ongoing practice is so important for growth in holiness. It is important to note at the outset that in spiritual theology meditation and contemplation are two very different types of prayer, and the words are not used interchangeably. Very briefly, contemplation is a much higher form of prayer, but ordinarily meditation is the preparation needed to pass on to contemplation. Mediation is normally referred to as discursive prayer. What this really means is that mediation begins with spiritual reading which elevates itself to acts of prayer. If a college student is reading The Confessions of Saint Augustine he is involved in academic reading. If, however, while reading a point being made by St. Augustine he sees in a deeper way the reality of God, then he has in some way entered into meditation. If this insight about God leads this student to praise God, or to converse with God, then he has entered into prayer which is the ultimate goal of meditation. Thus, we might say that meditation is a deep and penetrating reflection upon written materials that lifts the heart to God and results in acts of prayer and petition. It is thus that spiritual reading is one of the primary foundations for meditation (“We must regard spiritual reading as being to meditation what oil is to the lamp” – F.W. Faber). We say that meditation is discursive because the mind – the intellect – is utilized in an effort to understand more deeply some truth related to our Catholic faith. In other words, we make considerable progress in the spiritual life by a deeper, more penetrating understanding of what we believe. Thus, if you are reading a reflection on the Holy Eucharist, and the author helps you to see more clearly some wonderful truth pertaining to that sacrament, and this deep realization causes your heart to make acts of prayer and praise to God – well, this is the prayer of meditation. Meditation can help us to overcome a vice and grow in a virtue. If the subject matter of your meditation is the infinite purity of Jesus Christ, or the Immaculate purity of Mary, you may come to discover the power of chastity in a whole new light! As Dr. Susan Muto, an acclaimed spiritual writer, says: “Meditation… is a combined exercise of the imaginative, cognitive, and affective faculties of the mind to seek the meaning of what God may be saying through a particular event or passage in a text…Such a style of reading and reflecting on what we read helps us to assess our failings as well as to affirm our gifts…Uplifted by the wisdom of the masters, meditators can walk the way of the Lord and become an epiphany of his presence in the world” (Catholic Spirituality from A to Z, p. 122). Meditation helps us dwell on the deep things of our faith, sparking amazement in our hearts, leading to prayer in the interior of our souls. Meditation is an act of the human understanding – supported by grace – that helps us through faith to see deeper into the basis for our Catholic beliefs. Seeing these things more deeply we lift our hearts to God in affective praise, and rest in His presence in silent prayer. “The whole end of meditation, considered as such, is to increase, deepen and purify our Faith” (Father Edward Leen, Progress Through Mental Prayer, p.150). “When our minds are by constant [spiritual] reading steeped in the thoughts of God and divine things, it will be easy for us to think of Him, and it will come natural and easy for us to speak to Him and to speak of Him out of our full hearts and well-stored minds” (Id at 227). “In meditation the soul is forced, as it were, to speak directly with Christ; there can be no hiding behind standardized formulae of prayer. And this is the way the truly spiritual man would want it: an opportunity to speak privately with Christ about the many affairs of his daily life. The experience of the saints has demonstrated that an amazing change occurs in one’s daily life when he forms the daily habit of intimate, heart-to-heart conversation with Christ” (Peter Thomas Rohrbach, Conversation With Christ, p.10). This is why the Church “wisely obliges its priests to spend some time each day in meditation” and “the priest as well as the layman experiences that a well made meditation…gives a new impetus to his entire spiritual life” (Id at 10). The correlation between spiritual reading and meditation is brought home by Father Boylan, who said: “To our mind [spiritual reading] ranks equally with mental prayer and the other exercises of devotion in importance, and, in fact, it is so closely connected with these other exercises, especially the essential one of mental prayer, that without it – unless one finds a substitute, – there is no possibility of advancing in the spiritual life; even perseverance therein is rendered very doubtful” (This Tremendous Lover, p. 101, as quoted by Peter Thomas Rohrbach). Saint Teresa of Avila adds: “I wish I could obtain leave to declare the many times I failed during this [lukewarm] period in my obligation to God, because I was not supported by the strong pillar of mental prayer” (Conversation With Christ, p.11, quoting her autobiography). “Really interior and personal prayer, at least during considerable periods of a person’s religious development, is impossible without meditation….” (Theological Dictionary, p.283). “Meditation engages thought, imagination, emotion, and desire. This mobilization of faculties is necessary in order to deepen our convictions of faith, prompt the conversion of our heart, and strengthen our will to follow Christ” (Catechism of the Catholic Church, no. 2708). “Meditation is a form of mental prayer consisting in the application of the various faculties of the soul, memory, imagination, intellect, and will, to the consideration of some mystery, principle, truth, or fact, with a view to exciting proper spiritual emotions and resolving on some act or course of action regarded as God’s will and as a means of union with Him. In some degree or other it has always been practiced by God-fearing souls” (Catholic Encyclopedia). Great spiritual writers often categorize our mental faculties in terms of: the understanding (intellect), the will, the memory and the imagination. Ultimately in meditation we are using some or all of these human faculties in the generation of spontaneous, intimate, personal prayer with God. Thus we utilize our intellect to reflect more deeply on some truth of the faith through reasoned considerations pertaining to that truth (these considerations are normally contained in the written materials selected); the mind, impressed by this deeper understanding of some part of the faith, excites the will to draw closer to the ultimate goal of faith: God. The will, desiring God, turns the human subject to God in acts of profound personal prayer. The imagination is sometimes utilized in meditation to place oneself in a Gospel scene with Jesus in order to talk with Jesus about the meaning and relevance of the scripture text, and Saint Ignatius of Loyola even uses this imaginative technique in a profound meditation on hell in his classic work, The Spiritual Exercises (reference for further study “application of place” and “application of the senses”). If we were to say a quick word here about contemplation it would be merely to say that it is essentially the opposite of meditation, for in contemplation there is a resting and profound simplification of human intellectual activity in order to make way for a “super-discursive” knowledge of God (above human reasoning) which is truly a mystical (supernatural) or infused prayer, should God deem to grant it. Meditation should always begin with a preparatory prayer asking God’s grace and guidance throughout the reflection, and end with a prayer of thanksgiving for the graces received. Spiritual writers often encourage us to make resolutions after our meditation. Thus, if your meditation was on the Holy Eucharist, you might make a resolution to spend more time in preparing to receive that sacrament, or, if your meditation was on the power of forgiveness, you might make a resolution to truly forgive someone who has hurt or offended you. Selection of the written material for spiritual reading. A deep, slow reflection on the considerations present in the written material. Personal (interior) prayer and adoration when so moved by the meditation, including petitions for growth in holiness. A concluding prayer of thanksgiving including any personal resolutions flowing from the meditation. CONCLUSION: Meditation is an incredibly important part of the spiritual life. By this close, meditative application of our minds to the great truths of our faith, as expressed especially by great spiritual writers, our hearts are lifted to the love of God, to the desire to do His will, and most importantly to communion with God in personal prayer and petition. 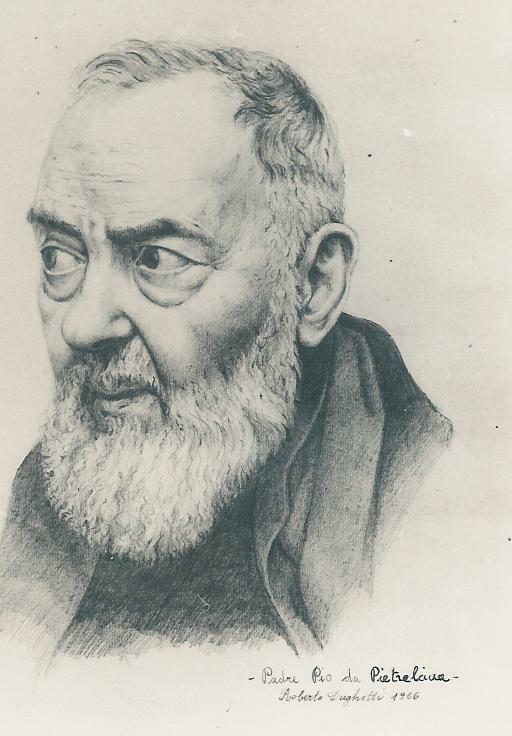 As the great Father Faber states: “The most serious business of the interior life is mental prayer…and even saints have sometimes spoken as if meditation were almost necessary to salvation…It is, however, quite certain that…there can be nothing like a spiritual life without it. For mental prayer means the occupation of our mental faculties upon God…stirring the will to conform itself to Him…The length of time to be spent in it will vary with individual cases…but it is most important that he should keep to his method when he has chosen it” (Growth In Holiness, 179). I have also relied heavily on Father Lallemant’s great book, The Spiritual Life. He talks quite often about how the considerations in meditation excite the heart to the love of God. Father Lallemant also speaks of the “close application” of our lives to God.